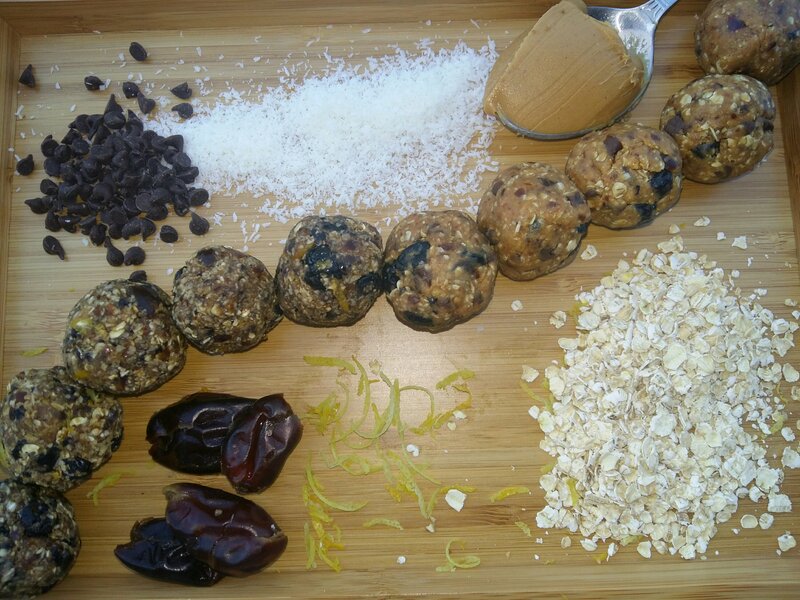 These yummy and easy to make power balls make a great snack or breakfast! Kid approved for after school or at sporting events. 1. Mix dates, oatmeal and chia seeds into a food processor and mix well until forms crumbly dough. 2. For peanut butter balls, add peanut butter to above and blend in food processor. Once blended. Place dough in a bowl and add chocolate chips. Roll into 2 inch balls using your palms. 3. For blueberry lemon coconut bars, put all ingredients into food processor until forms crumbly dough. Place dough in a bowl. Roll into balls. Keeps 1 week in fridge or 1 month in the freezer. Next Post Week 4: The Vegan Bus is coming!